This will freak out all those who do not believe in "zero point energy" Ask them : So what is this energy seen on the scope? Have them answer you? They can't, or they will give you a ridiculous answer "Oh it's swamp gas? " If they are honest they will simply say " I do not know". a document written by Patrick Kelly - D9.pdf, with Bob's oversite. Listen to this video, all 10 parts, if you want to hear about this technology. Not a myth or a crime. Hear it from the man who is ahead of his field, from a recent Hydrogen Show. Also read the Chris Patton interview on Bob B, a few years back on youtube. 2/09 Also read about his car on jack stands up to 60 mpg. This video is a perfect example of how Bob gets harassed. Some folks from down under make fools of themselves on this Youtube video. First off they did not condition the plates correctly , you have to get 150% to 200% efficiency with the cell before proceeding. The procedures of the cell design break a few laws of physics, and toroid technology not studied. Science believes in one type of hydrogen gas. As Yul Brown found out 36 different properties of hydroxy gas! EE's are puzzled at Bob's project and say therefore it won't work. Some know in all from Down Under, decide for themselves of duplicating Bob's 100 cell box that they would be able to get resonance. A trade secret of his, only given out to close friends and cool people only. Bob actually talked to the gentlemen on the phone, he said he was so rude and so down playing that he hung up on him. Bob said I will not work with jerks. They have to learn to follow instructions exactly. 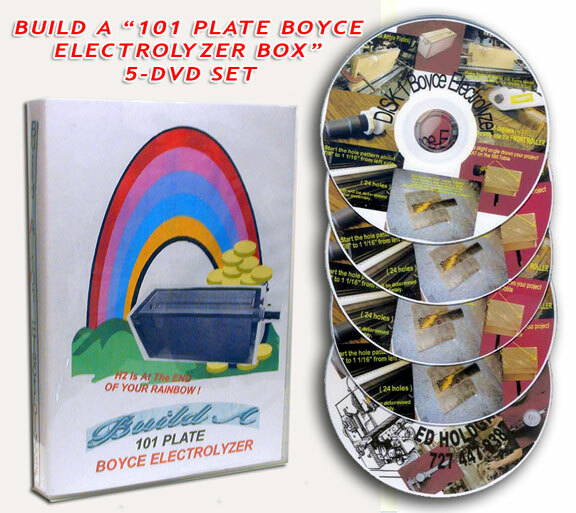 Many more Boyce projects on Youtube. 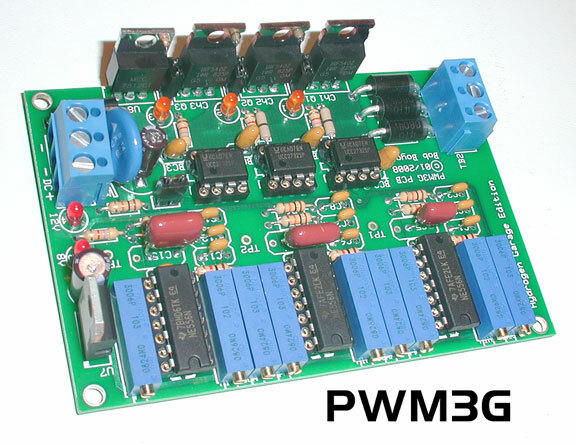 Many ask what is the difference between the Hex Controller and the PWM3G board? The Hex Controller has automatic tuning. 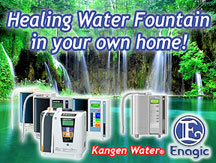 (stays in tune no matter the variables : water temp changes, charged water changes, etc.) 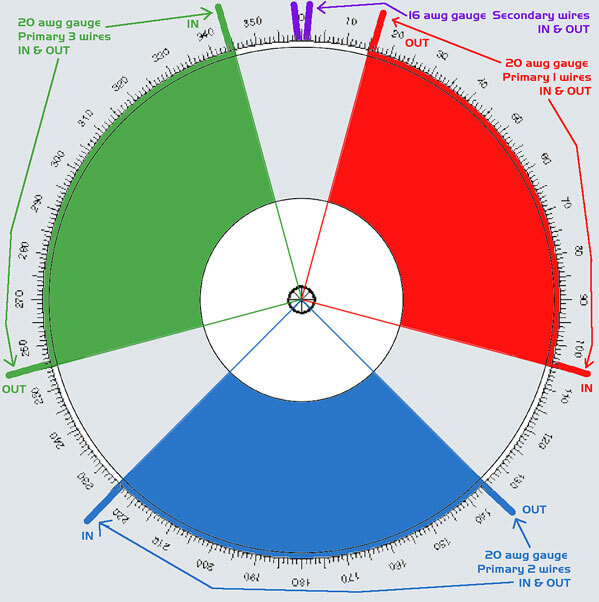 The PWM3G is manual tuning, safer, will produce about 4-5x's Faraday's law. (approx. 45 liters per minute) When temps change you may have to tune while in use. The PWM3G is given away to the public (minus no schematic) the Hex Controller is Bob's baby and only given away to friends that he trusts. The Hex Controller can also be very dangerous and up to 10's Faradays, but one has to have full knowledge of it's potential before using it. 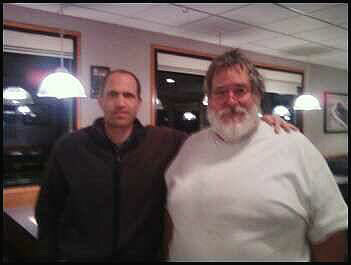 Alot of Bob's information is classied info., and can not disclose. 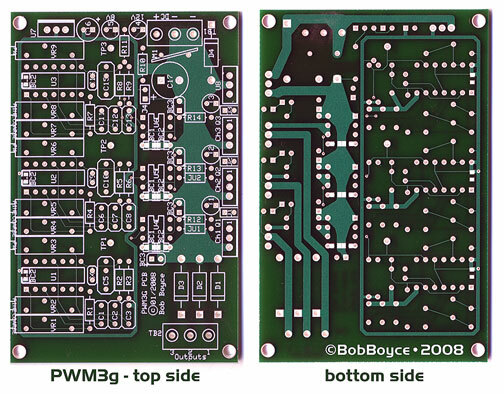 The PWM3g pcb Circuit Board. * Please note ~ the "G" board has tricky soldering involved. It has 9, very tiny ceramic chip pepper capacitors, that are soldered onto the bottom of the board. They are about a 1/16" long! These tiny devices are manufactured for a special processing method that controls the heat and uses a solder paste in a very controlled heating atmosphere. 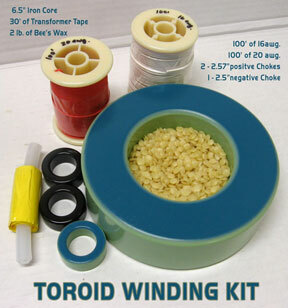 If you are doing hand soldering work, it is very easy to overheat those tiny devices with a hot soldering iron. Overheating will cause them to get a hairline crack in the body of the ceramic. As tiny as these devices are you might not even realize this has occurred without a microscope. 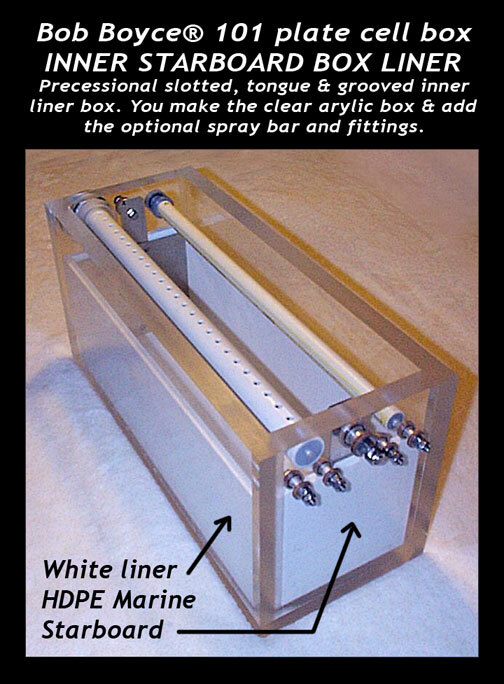 Use a very low wattage iron and avoid applying heat directly to the body of the capacitor. You might want to use tweezers to hold the tiny device and first melt some solder on the metallic pad of the circuit board. Pit a dab of liquid flux on the just tinned pad also touch some to the end of the capacitor. Apply heat to the circuit board solder pad and hold the capacitor with tweezers letting it attach itself to the wet metallic solder. Remove heat as soon as possible and then apply similar considerations to the other side to attach it. Your best results will be with a nicely tinned soldering tip of the pencil variety. Use a damp sponge to keep the tip from oxidizing, wiping it before use. Use a tooth pic to apply the liquid soldering flux or get a flux pen. After soldering use some isopropyl alcohol and a small brush to clean off any remaining flux from the capacitor and the solder pads. 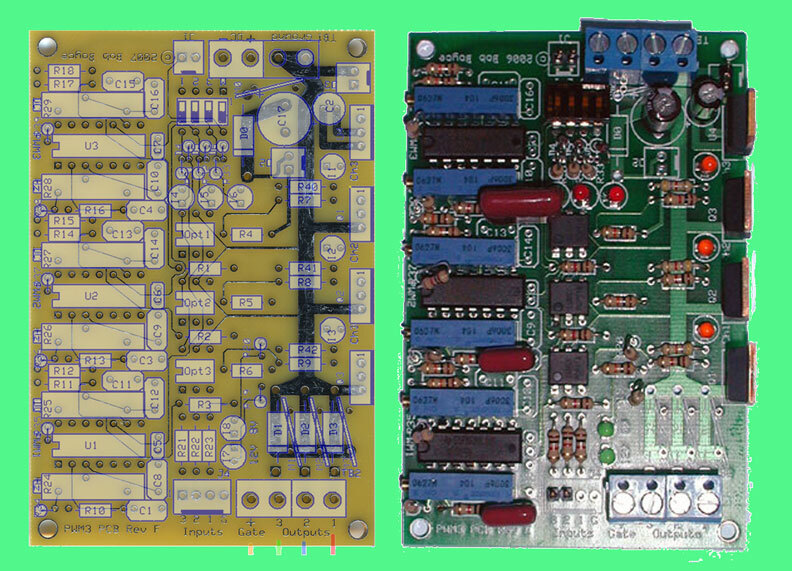 sorry the PWM3G schematic will not be published. 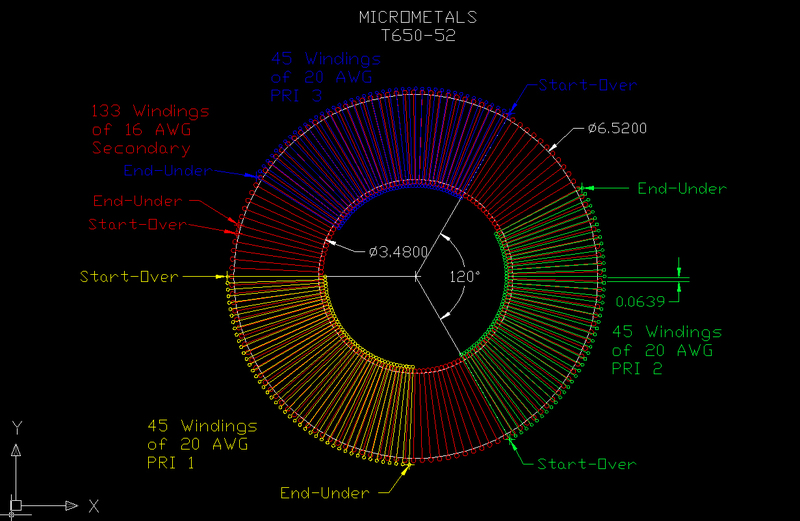 (Terry made this Digikey list available and ready to order for about $60. and R9 are not necessary and can be replace with a wire jumper. 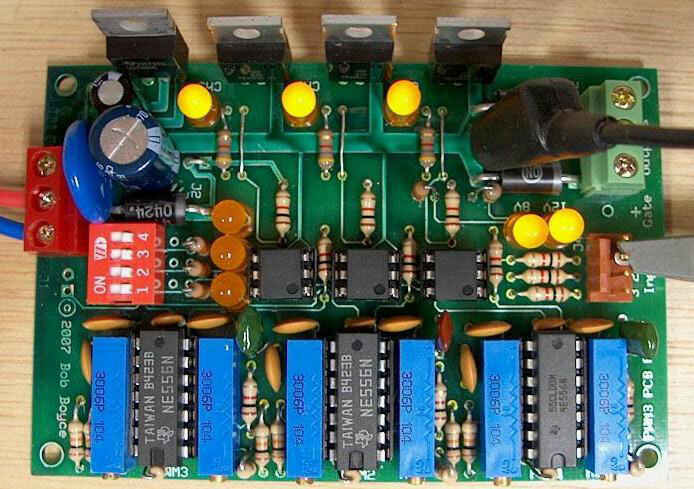 is that the holes for M1, M2 & M3 varistors are larger. We still have "F" version at Hydrogen Garage Store. 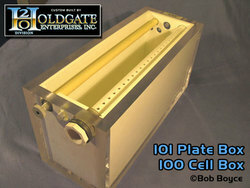 to supply the high voltage for large 100+ plate cells, for water torches. Cell, explained with diagrams and instructions. Written with Bob's approval and permission. Free for all to experiment with. be available at Hydrogen Garage. You can turn to hand wind one. (takes time, about 2-4 hours) & you got to be good at it. 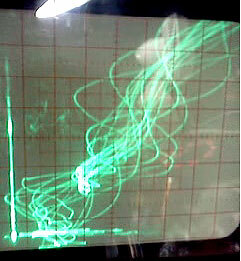 If wound the wrong direction or overlaping, or not even, , it may not work correctly. The special PTFE silver coated copper wire to wind your primary & secondary wiring, can be bought from HG, or from Steve at Apex Junior. The lowest price on silver plated Copper wire that you are gonna find. Why not join today. Learn how it is NOT rocket science. Be apart of the new future in the Free Energy Revolution.